Editor's note: Did you know? For over seven decades, the Norwalk-based Human Services Council has identified unmet community needs and has “filled in the gaps” by creating and fostering programs that educate, safeguard and empower people living and working in our communities. They serve over 8,000 children, families and individuals each year. 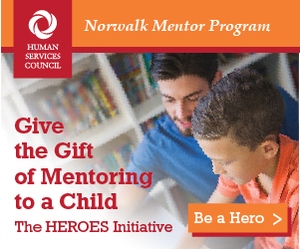 The Human Services Council invites Ridgefield residents to "be a Hero" by mentoring a local child through their Norwalk Mentoring Program. Read the story below to learn more, and consider changing a life this holiday season. Richard Collins is an example of how giving back can come full circle. He had a mentor through the Norwalk Mentor Program from 3rd grade through 6th grade, until his mentor moved out of the area due to work. 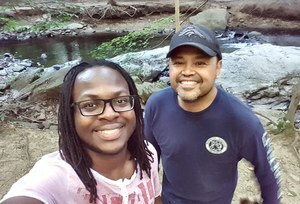 15 years later, Richard has become a mentor in the program and wants to help a child grow and succeed, just like he did. Consider becoming a HERO and make a difference in a child’s life; whether you are a company or an individual who wants to give back to their community.